HTC One Apps: Can they be differentiator for HTC in Smartphone(s) war? It seems that companies like Samsung and HTC are taking clue from Apple, not just giving a powerful hardware, but also integrating with innovative software features. Since Apple has launched iPhone in 2007, people are ravishing about its hardware and software integration, the smooth experience of iOS and so on. 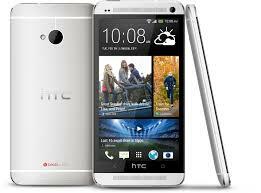 With HTC One, HTC is also going in the same direction. HTC has loaded its flagship phone One some top of the line hardware which includes a Qualcomm Snapdragon 600 chip, 1.7 GHz quad-core processor, 2 GB RAM, 4.7-inchscreen with 1920 x 1080 pixels (equating to ~469 ppi), front-facing stereo speakers, a 4 MP camera with a massively pixel-packing sensor called ultrapixel and much more. The HTC One comes with Android 4.1.2 (Jelly Bean) out of the box. HTC has done some customization on the OS which is called Sense 5. This is one of the biggest and best customizations from HTC in comparison to its previous iterations and even other companies like Samsung with its TouchWiz interface. HTC Sense brings a whole new button layout, new grid for menu icons, geometric patterns which replace the over-complicated widgets of old. The option to add widgets and such has been given less importance. The home button takes you to the BlinkFeed (more about BlinkFeed in next section) instead of taking you to the homescreen. However, if you have used Android; you know that it only takes a swipe to the right to access the homescreens, though you only have five home screens to customize. And even this customization isn't easy- you either have to long press on the home screen and choose the apps or drag them from the menu via the shortcut icon at the top. It is little more complex than other Android phones. The Hardware is really powerful because from opening and closing apps to browsing multiple tabs on the internet browser, there's hardly anything that can slow down the HTC One, and you'll really appreciate that in daily life. You can also choose from a number of lockscreen types, be it productivity for emails, message or calendar entries- and a swipe upwards while holding that particular icon will launch it directly too.You can select a range of pictures, have some tunes or simply have no lockscreen. As other Android phones, notification bar shows power options, connectivity settings and brightness adjustment. The UI will probably appeal to both long-time HTC users as well as new buyers. The main focus of HTC Sense 5 is BlinkFeed and it comes directly present in default home screen. It is similar to Flipboard or RSS or Windows Live Tiles, but offers more personal information and has a cooler user interface. It gives you a quick taste of what’s going on in the world in the blink of an eye. Hence the name!But, it’s a bit limited in terms of the ability to curate content Also, the Blink Feed panel can't be removed but it can positioned in another homescreen if you want. In a nutshell, a Zoe captures three-and-a-bit seconds of 1080p MP4 video from 20 photos whenever you press the shutter key. Around half a second is recorded before your finger actually presses the shutter presumably thanks to some sort of buffer. Zoe is taken from the word Zoetrope, which means a device that produces an illusion of action from a rapid succession of static pictures. The HTC One’s gallery offers various options to mess about with your Zoe videos (like sequencing, object removal, always smile, skin smoothing, anti-shineand many more) and stills to create 30-second vignettes with visual effects and music. It is kind of a video Instagram. After you capture Zoes, stills, and video, you can then tap the Share button and an HTC Share display will appear and explain what HTC Share is about. When choosing HTC Share as a sharing option, a screen will appear with an option to add a title and a description. You can then tap the "+" icon and add up to 10 pictures, videos, or Zoes. The final step is to upload this to the HTC Share website (zoeshare.htc.com). HTC hosts content you upload and assigns a unique URL that stays active for up to 180 days. You also can share the Zoe via Facebook, Gmail, Google+, and more. It takes a lot of gut to do something different from the rest. And, Kudos to HTC One for pulling up something like BlinkFeed and Zoethat distinguishes them from the rest. The features provided can really be useful enhancing one’s productivity or doing something unique. The Author of this post is Julia. She wrote several tech articles for 91mobiles.com. 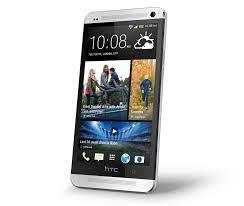 Have a detailed look on HTC One here.